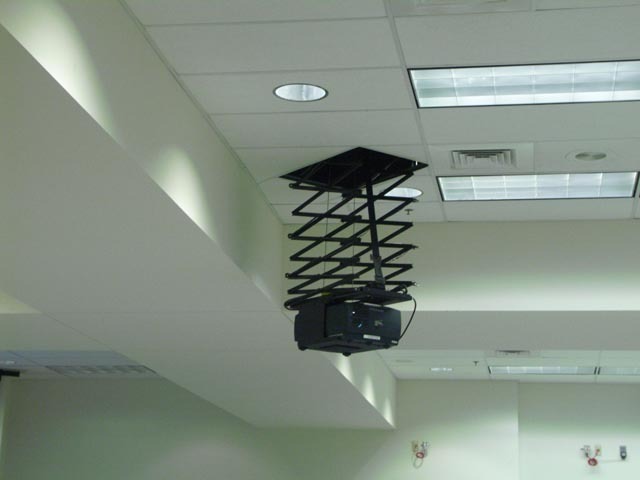 With a lowering distance of up to 14 feet and a weight capacity of up to 160 lbs., the DL3B Series Projector Lifts are the perfect solution for auditoriums, boardrooms, or virtually any room with a high ceiling. 17.5"w x 28.5"l x 6.75"h 160 lbs. 7.5' 92 lbs. 17.5"w x 28.5"l x 7.75"h 160 lbs. 9.5' 97 lbs. 17.5"w x 28.5"l x 8.75"h 160 lbs. 11' 102 lbs. 17.5"w x 28.5"l x 9.75"h 160 lbs. 12.5' 107 lbs. 17.5"w x 28.5"l x 10.75"h 160 lbs. 14' 112 lbs. Mounting Adapter interface for projector. 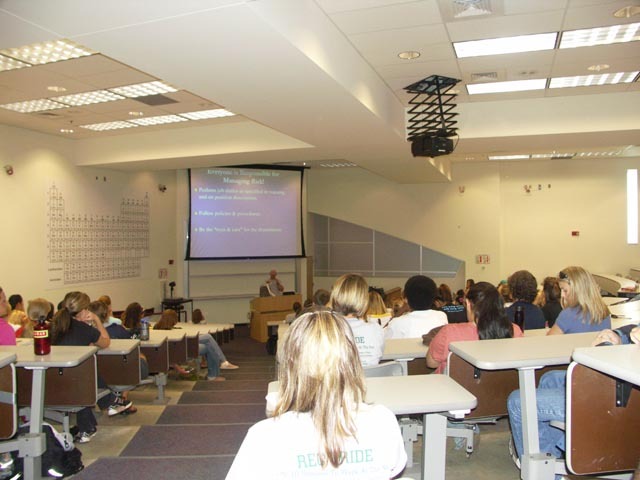 Must specify make and model number of projector and lens if projector offers lens options. 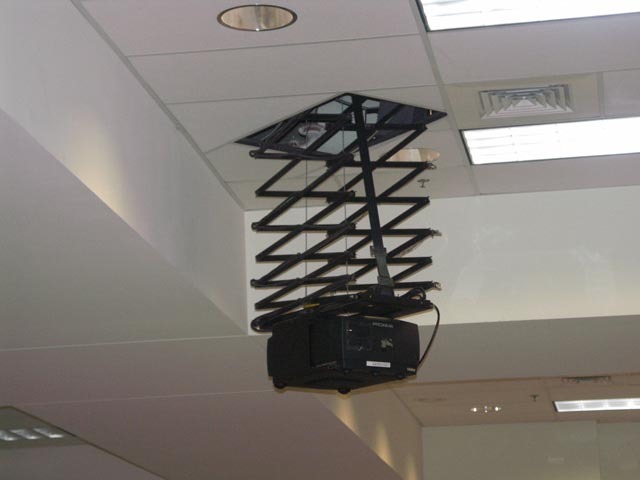 Ceiling Closure Frame. Used with drywall or wood ceilings. 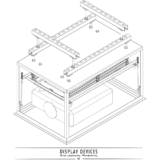 Provides 2" trim finish for projector opening. Spring-loaded and fully adjustable. Note: EBR is recommended for installations with restricted access. 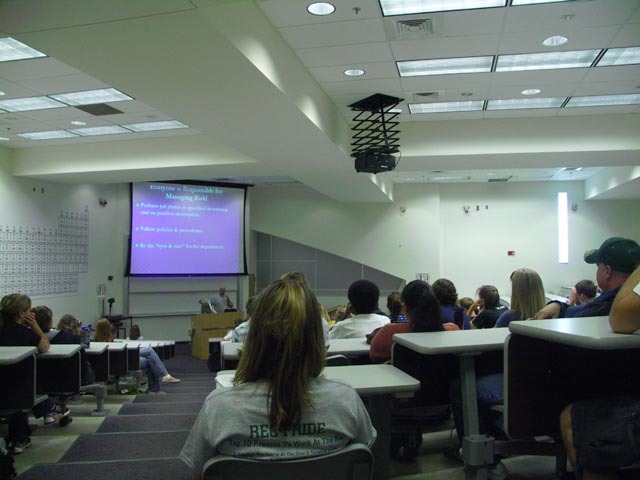 Lipless Ceiling Closure Frame - Provides minimal seam around projector opening for drywall or wood ceilings. Spring-loaded and fully adjustable. Note: EBR is recommended for installations with restricted access. Plenum-Rated Housing With Closure Frame - Enclosed support framework and closure frame for drop-tile ceilings with plenum requirements. 2" trim finish for projector opening. Includes ceiling closure, spring-loaded and fully adjustable. 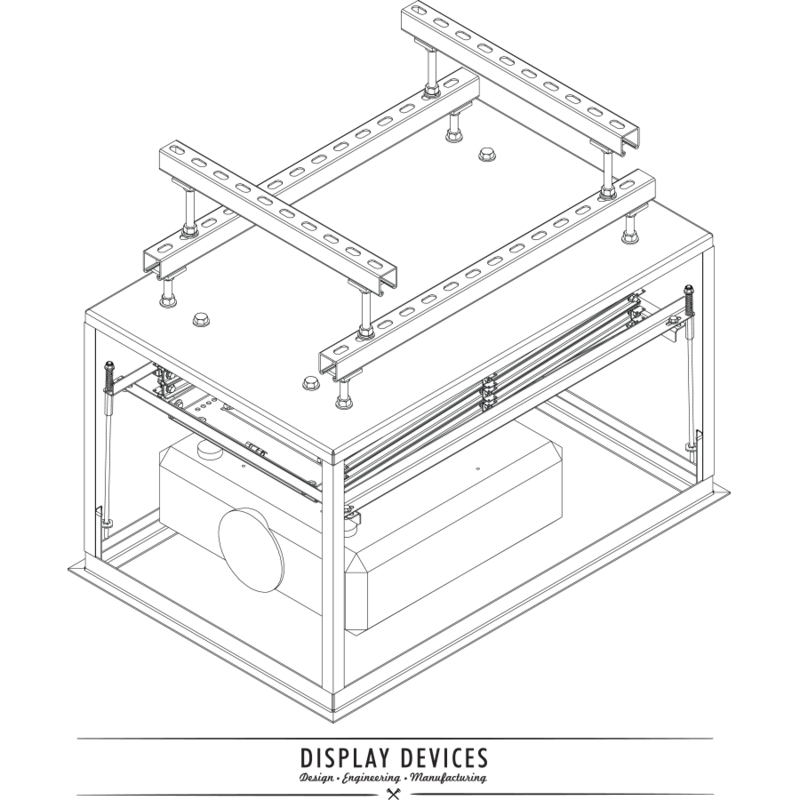 Plenum-Rated Housing With Lipless Closure Frame. Enclosed support framework and closure frame for drop-tile ceilings with plenum requirements. Provides minimal seam around projector opening. Includes ceiling closure, spring-loaded and fully adjustable. Non-Plenum-Rated Housing With Closure Frame. Support framework and closure frame for drop-tile ceilings with non-plenum requirements. 2" trim finish for projector opening. Includes ceiling closure, spring loaded and fully adjustable. Non-Plenum Rated Housing With Lipless Closure Frame. Support framework and closure frame for drop-tile ceilings with non-plenum requirements. Provides minimal seam around projector opening. Includes ceiling closure, spring loaded and fully adjustable. Bomb Bay Door ceiling closure system. Provides support framework and dual opening doors for non-plenum applications. RS-232 Serial control interface - allows for unlimited show positions when using a third party control system (Crestron/AMX). Cable Pre Wire - Pre-wire of lift with control, signal and power cabling. Power Current Sensor for projectors and Flat Panel Displays, 110V only. Electronic Motorized Rotating Ceiling Mount. 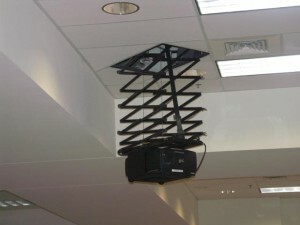 Adds rotation of a projector to any Display Devices projector lift. Controlled via third party RS-232 (i.e., Crestron, AMX, etc.) to allow two programmable vertical and rotational show positions. Weight capacity of 100 lbs. including closure. 110V/220V. Wall Plate Remote for all lifts. Single-gang white. Wall Plate Remote for all lifts. Single-gang black. Wall Plate Remote for all lifts. Single-gang brushed steel. Rack Mount Panel Remote wired control panel. 1.75" x 19" EIA. Black. Locking Wall Plate Remote wired control panel with security key lock. 2-gang, white. Locking Wall Plate Remote wired control panel with security key lock. 2-gang, black. Locking Wall Plate Remote wired control panel with security key lock. 2-gang, brushed steel. Spare Parts Kit - Includes control electronics, timing sprocket, limit switches, multi meter, motor control box. Emergency Brake Release - Lowers lift for service access. Recommended when access to a retracted lift is restricted i.e., drywall. Must be purchased at the same time as the lift.